Which Casing Do I Use? *Actual product may vary slightly from picture. At LEM, we understand our job doesn't end the moment you purchase a product. Really... just try us and find out! Our Customer Service Team is here to help answer any question you might have, from selecting the right product to how to use it. They're all great questions from our point of view. Our trained team of Service Technicians are here to help you with warranty questions, parts selection, even advice. In fact, that's their specialty. We believe that a great experience requires not only a quality product, but also exceptional service. That's why we stock parts inventories and have developed a team of experts whose sole mission is to help you. We will deliver the best possible experience no matter what your need. Complete and return the warranty card with a copy of your purchase receipt to LEM Products at 4440 Muhlhauser Rd., Suite 300, West Chester, OH 45011-9767. Scan and email your warranty card and a copy of your receipt to info@lemproducts.com. Register your warranty online. You will still need to mail or email to us a copy of your purchase receipt. Regardless of how you submit your warranty registration, you MUST submit a copy of your purchase receipt along with your warranty registration. This information is REQUIRED to exercise your product warranty. RETAIN ORIGINAL RECEIPT FOR WARRANTY VALIDATION. Visit Warranty & Recall for complete warranty information. Orders placed after 12 pm EST will begin processing the following business day. Orders received after 12 pm EST on Fridays begin processing on the following Monday or the next business day if Monday is a holiday. This will affect Jump the Line, Next Day and Second Day shipping methods. 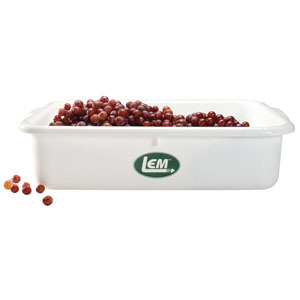 In stock orders shipped from LEM Products deliver within 5 - 10 business days of the receipt of the order. Shipments to the 48 states incur Standard Shipping Costs as defined below. Orders being shipped to Alaska, Hawaii, US Territories APO/FPO Addresses or Canada will be charged based on actual shipping charges incurred by UPS or USPS. When LEM Products ships an order via Standard Ground Shipping - orders will ship via UPS OR USPS. We call this Jump the Line. Orders shipping via our New UPS Ground Shipping will leave our facility the same day (if ordered before 12 pm EST) and will ship via UPS to arrive within 3 - 5 business days. Choose between UPS Residential - Canada and USPS Priority Mail International shipping. Shipping time frames will vary due to Customs Requirements. Shipping costs shown in checkout DO NOT include Customs Fees or other charges incurred through Customs. Need it quick? No problem. UPS 2nd Day Air will get your order to you in 2 business days. Get your order in 1 business day with UPS Next Day Air shipping. See Order Processing above for order cut-off and shipping times. Orders shipping to Alaska, Hawaii, Guam, Puerto Rico, Virgin Islands and the Armed Forces will ship via USPS Priority Mail. Allow up to 10 business days for delivery. 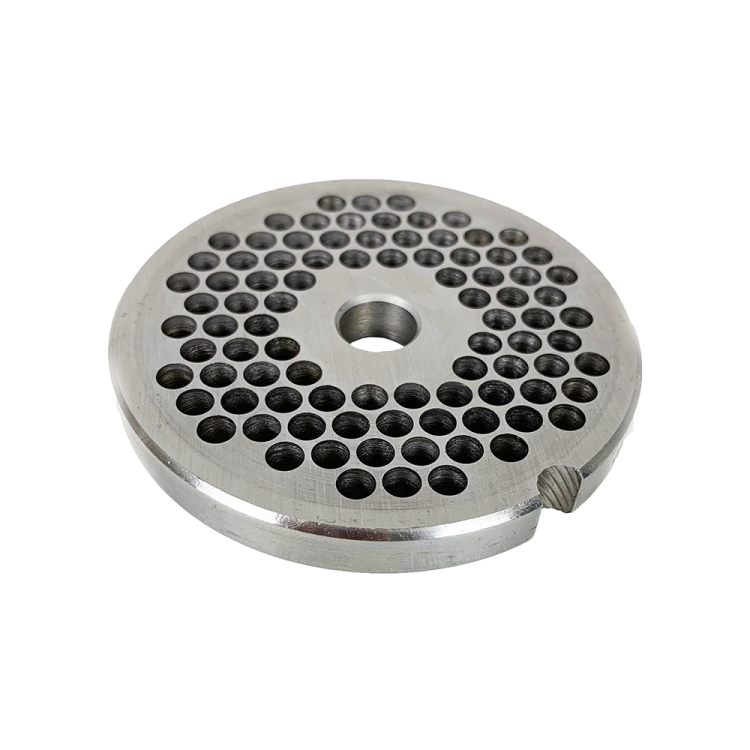 Because grinders, Manual Mixers and other large items are bulky and heavy, these items have additional shipping charges and are in addition to Standard Shipping Costs listed above. If your order contains an item/or items that are showing on backorder, the order will be held to ship when all items are in stock unless you choose the option to ship ahead. Ship ahead means all items that are in stock will be shipped immediately leaving any backorders to ship together when all items have arrived in stock. Visit Shipping & Returns for complete Shipping & Returns information. We do our best to make sure you'll be satisfied with every purchase. However, should any item fall short of your expectations, you may return it to us within 30 days of purchase for a refund or replacement. We back all LEM Products with our 30 Day Money Back Guarantee - except food items and DVDs. Food items do include, but are not limited to: Backwoods Seasonings, Sausage Casings, High Temperature Cheese, etc. Any item that is deemed unsatisfactory by the customer may be returned within 30 days of purchase. If you have a product you would like to return through LEM's Guarantee, you must contact our Customer Service Team to request a return authorization at 1-877-336-5895. Absolutely NO returns will be granted without prior authorization. LEM may refund the purchase price or replace the item. The shipping cost is NOT refundable with LEM's Guarantee. We will not refund the cost for shipping the product to you, nor will we cover the expense to ship the item back to LEM. We offer this guarantee with products purchased directly from LEM Products, whether through our Catalog or via our Website. Our Guarantee is not valid if you purchased your products through any other retailer. If you have purchased your LEM Product elsewhere and are dissatisfied, please contact the original retailer of purchase to inquire about their return policy. A fine grind. 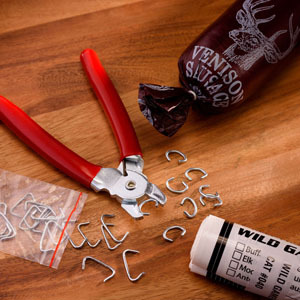 Great for the Second Grind, Coarse Hamburger and Regular Sausage like Breakfast, Polish or German. A fine grind, these 4.5mm Plates are great for the Second Grind, Coarse Hamburger and Regular Sausage like Breakfast, Polish or German. 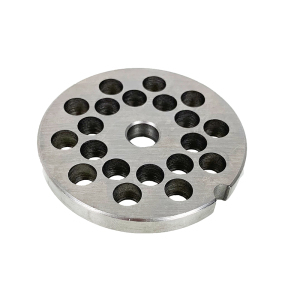 Each plate is 2-1/8" diameter and has 4.5mm (3/16") plate holes. Our grinder plates are made to LEM's stringent standards for hardness and quality. 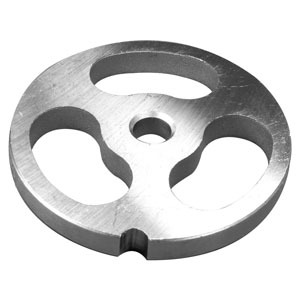 We carry stainless steel plates, which are hubless so they can be used on both sides. Remember when changing your knife to change the plate at the same time for optimum performance. Bump up your performance...get a premium plate! What are my choices and what's the difference? Stainless Steel: A better option than Carbon, as Stainless Steel is a stronger material than Carbon. Premium Salvinox Stainless Steel: The best option. 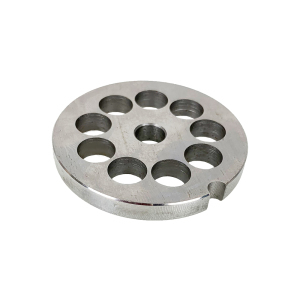 Premium Stainless Steel is made of a higher grade of Stainless Steel, plus these plates are slightly thicker than the others, providing you with a longer life of use. Inches 1/8" 3/16" 1/4" 3/8"
* These are approximate numerical conversions. 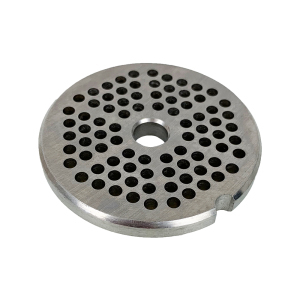 Which Grinder Plate Do I Need? | What Hole Size Do I Need? 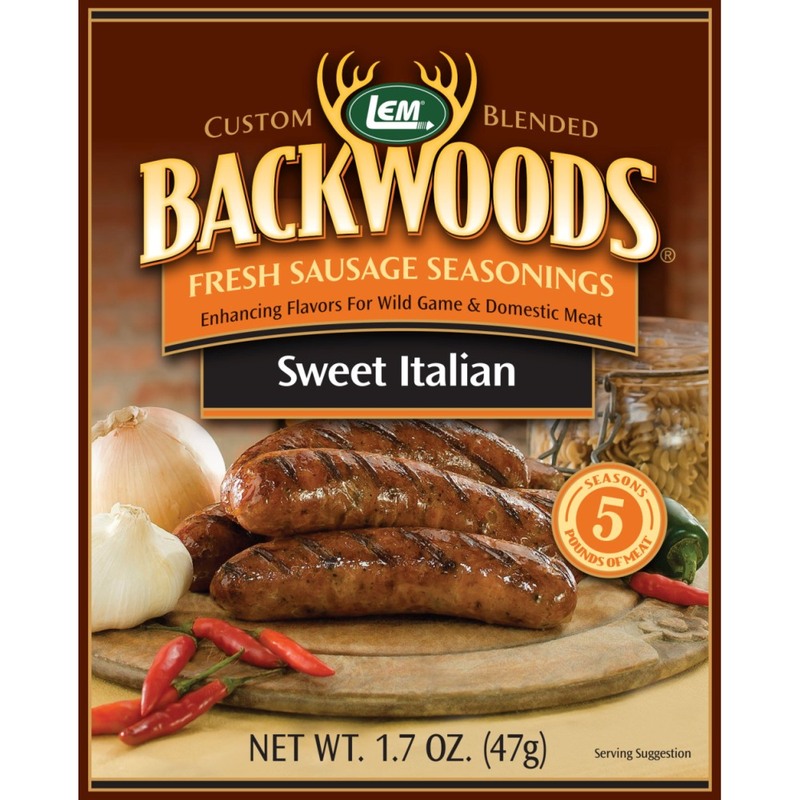 Backwoods Sweet Italian Fresh Sausage Seasoning - Backwoods Sweet Italian Seasoning Makes 25 lbs.